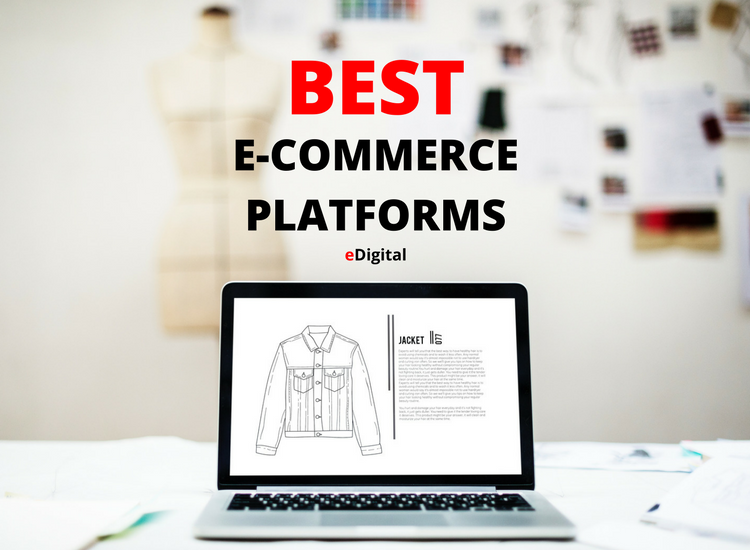 Find below some of the Best 66 e-Commerce Platforms in 2019, some of their key features, why you should pick them, what it will cost you and some great relevant tips. e-Commerce has become an enormous industry that’s much simpler to get into than you might think.There’s very little risk involved when starting your e-com store (aka online business), and the cost of failure is minimal compared to brick-mortar stores. 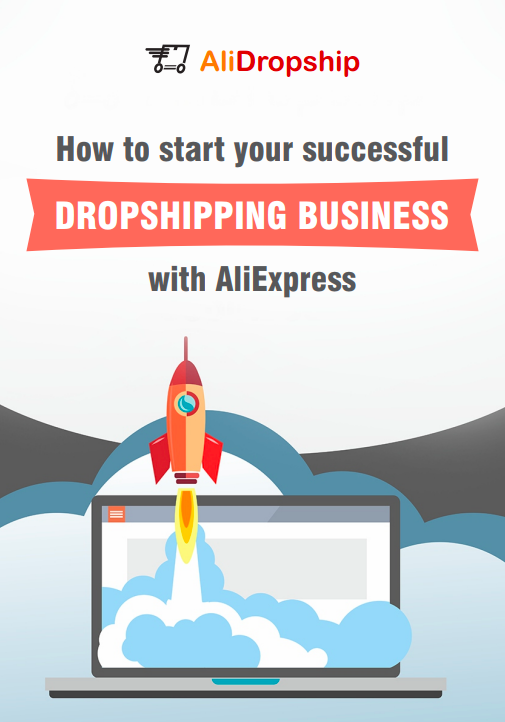 In some cases, you do not have to stock inventory (dropshipping) if that’s part of your business model, you can try and experiment quicker and easier with an online store and apply lean methodologies until you find your successful products. Once you’ve settled on your niche area you have to make the decision of which ecommerce platform to set up your online store on. Matches your customers’ needs. Have you figure out what your potential customers care about in the buying process? Do they need a specific ways to browse and find the product they want? (by colour, size, material, gender, etc) Do they care about payment options, delivery options/times? It is important you have a list of all your customer buying expectations/requirements when choosing your e-Commerce platform to ensure your new platforms has the ability to manage all the key components to create an intuitive, easy and successful buying experience of your customers. Scalability. Choose a platform that will allow your business to scale and grow. Are you expecting 10, or 100 customers a month or 100.000 a month? This might affect the way you choose your e-commerce platform. Key Platform features. Does it offer the exact features you need to manage and update your products, inventory? How easy is to customise those features to meet your needs? How does it handle returns? even if you don’t need them right now. Themes and templates. Look at the templates available, and try to find one that already matches what you want. Most platforms have a theme library you can browse. Are they free and easy to install? How easy is to customise the template for key events: valentines day, mothers day, christmas, etc? Security. Think about security as well – are they a trusted option? Do they offer support if there is a security breach? SEO. What SEO tools or SEO free plugins can be used? Is it easy to set up canonical pages in case you have different pages for the same product? this is important for SEO. Longevity. Who are their current investors and how long have they been on the marketplace? Check their company info on Crunchbase. Support. Do they offer tools and education programs for you to better and fully utilise the software? Do they offer meetups and/or events to help customers? This can show the level of commitment they have towards their user base. Version upgrades. Is it easy to update to the latest version? do they offer support in case something goes wrong? Integrations. The more integrations, the better. Do they offer hooks via Zapier or other tools? Can your current CRM or email marketing platform easily integrate with your online store platform? Check that! For example Woocommerce can easily integrate with MailChimp. Do not blame the platform. Sometimes you do not sell because of the platform you have chosen but because of your buying methodology. Let customers decide what gets promoted on your online Shop. Many online store owners spend a bunch of time picking out products they like. If you want to be successful and rake in the sales each day with eCommerce, you’ve got to detach yourself from the products. The key is to choose products other people are passionate about. Not you. If you choose products based on emotion alone, you’re almost certainly doomed to fail. Benchmark best platforms. Is there any online store you really like? You can easily find out what platform they use with WhatCMS tool. A Canadian ecommerce online store builder that has been in the business since 2004 and which is used by over half a million ecommerce businesses. It’s simple to use, comes with more training materials than you could imagine, and a wide reaching support community. If you want a stylish all rounder, Shopify is a great way for you to build your online store and enter the world of ecommerce. After your two week trial period ends, you can select from a basic, standard, advanced, or plus package, giving you the ability to evolve your ecommerce store to match the growth of your business. Over 1,400+ apps in their App Store. Offers 24/7 support via phone, live chat, email. Good bank of add-ons available (mostly paid) to allow you to add additional features. Best suited for: Best suited for both beginners and professionals. The default version allows display of only three product attributes; size ,color and material. Monthly subscriptions fee and a processing fee for each transaction. Addition of other paid apps/add ons that involve monthly subscriptions will further escalate your costs. 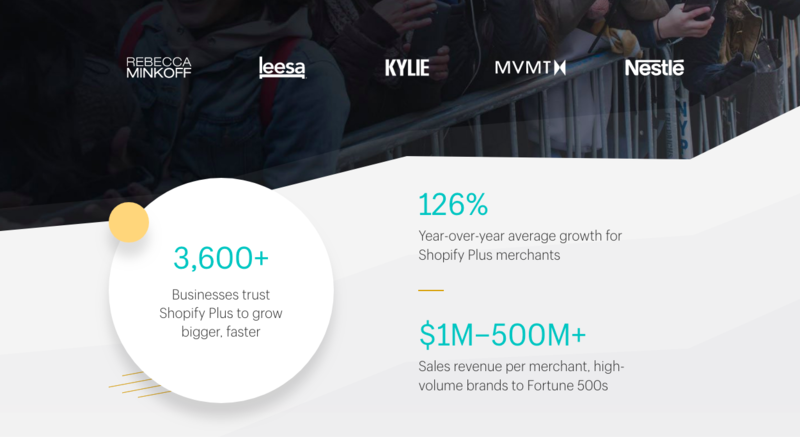 Shopify Plus’ API connects directly with all major enterprise ecommerce platform integrations. Thousands of apps let you experiment and sell without worrying about version updates or compatibility. Build your own custom solutions to bring your vision to life. Automate campaigns, product drops and high demand sales. Customise your storefront, checkout and back end systems. Add, update and manage products without code. Enterprise ecommerce’s largest ecosystem of Solution Engineers, front-end developers, and technical concierges. Unleash IT from repetitive tasks, maintaining performance and monitoring risks. Your dedicated Merchant Success Manager provides insider guidance to the platform, industry trends, and strategic coaching. Go global through dedicated storefronts in multiple languages and currencies. Set up wholesale for high-volume buyers easily. 100+ payment gateways including mobile, social, and Shopify Pay’s one-field checkout. BigCommerce is one of the leading eCommerce platforms with hundred thousands of clients. Favoured by companies large and small as it is completely scalable and no need for coding. If you’re looking for a platform that allows you to keep 100% (sans tax) of every sale that you make then this provider will become a big friend of yours. The sacrifice you make for losing the transaction fee is that BigCommerce is not as friendly with market-vendors as some of its peers are. After your 15 day trial period, the standard model will set you back $38.20 per month, while if you wish to go up to enterprise level you’ll need to discuss your requirements with BigCommerce directly. No technical know-how required as it comes packed with multiple built in features. Supports many additional eCommerce features like gift cards, reviews & ratings, as well as basic marketing tools etc which come built in. Great customer support. Solid 24/7 Support staff to deal with all complexities. Hosting comes with the monthly/annual plan. Comes with a host of in-built tools and supports promotions via different social channels. Best suited for: Best suited for midsize businesses or small businesses with a quick expansion rate. No support for mobile apps. Order Management. Automates payment and post-order customer experiences. Offer and Subscription Management. Provides the selling and management of a subscription lifecycle. Catalogue Management. Enables collaboration, development and execution of product content. Guided Selling. Powers personalized product and service selection. Advanced pricing and promotions. Supports global pricing strategies and customer contracts. With over 1.3 million members and providing the back-end framework for 2.3% of all websites across the globe, it’s no surprise that this open-source content management system is used by many ecommerce businesses. It has great functionality and has a wealth of themes and templates, so that you can get your ecommerce website looking and acting how you want it to. Drupal also has thousands of plugins, making customization a piece of cake. As an open-source CMS, Drupal is free for you to use and build your ecommerce business. However, this also means that you’ll have other costs to cover, such as hosting. EKM has been in operation since 2002 and was the first UK’s first cloud based ecommerce platform. It comes highly recommended and is responsible for running more than 30,000 ecommerce businesses across the globe. If you want a community-driven option than EKM could become your ecommerce family. There are three options available with EKM and much will depend on how many user accounts you need and the level of support you require; the startup package gives you 1 user account, while the growing account grants you 5 accounts, and the established option lets you use 15 accounts. Price: Basic package starts at 29.99 pounds. Best suited for: businesses with who want to e-commerce solution. Conversion Rate Optimisation. Episerver Commerce has built-in A/B testing and three kinds of personalization that are proven to increase conversion rates. The platform’s machine learning optimizes experiences while keeping you in control. Omnichannel marketing. Episerver Commerce has marketing automation tools that help you easily manage your campaigns across all channels. Target specific segments with real-time emails, text messages, and push notifications. Product content and catalogue management. Consolidate product content and control information about your products with a built-in, easy-to-use system that works across all channels. Wherever they are in their journey, give your customers rich, engaging content including video, images and editorial content that really show off your products – including those syndicated from multiple suppliers. Omni-channel fulfilment. One system takes care of your customers’ orders across all channels. They get a fast, secure experience that allows them to choose between collection or delivery and benefit from fuss-free returns. You get to see all the order information in one place and have precise visibility of your stock. Custom user experience. Get customers engaged with your products by creating a one-to-one experience that’s relevant every time. With SAP Hybris Customer Experience, you can manage site layout and content across all channels and create highly personalized experiences for your customers. Use a Hybris merchandising tool as well as historical data and current behaviors to deliver the personal storefront that drives buyer engagement and transactions. A modern commerce platform designed to give B2C and B2B organisations the power to rapidly innovate and drive their omnichannel business with less overhead. With a micro-service approach and the latest container technology WebSphere Commerce simplifies the creation of omnichannel experiences and makes upgrades for IBM provided enhancements simple and fast so you can focus on the things that matter most to your business. Coupled with unmatched omnichannel commerce capabilities for delighting customers and artificial intelligence to speed and enhance commerce professionals’ decision making WebSphere Commerce gives you the tools to innovate rapidly and keep up with your customers and markets. Multi Screen website development platform. Create your dream website in just a few clicks with Jimdo’s quick and easy website builder. Customise your design, connect your domain, and edit your website any time, with no coding required. Completely scalable system with supports for huge inventory. Supports multiple payment gateways, multiple currency options, in-built order processing, detailed coupon management. In-built Content management system with unlimited product attributes and in-built marketing tools and newsletter management. Best suited for: Best suited for bigger stores with thousands of products, tons of traffic. Not a game for beginners. Needs extensive technical know-how to be able to deal with the multiple files that come with Magento installation. Needs a great technical expert or a certified Magento Developer or agency. NetStarter is a good one in Australia. Will need a premium hosting owing to amount of server resource it requires. Can run quite slow if not properly optimised. Its premium plans are not cheap. More than 250.000 merchants using Magento. Australian based, Neto is a complete solution for ecommerce, point-of-sale, inventory and fulfilment. Sell in more channels and grow your business faster by managing your bricks-and-mortar stores, marketplace listings and ecommerce business from a single source. This means you can use Neto to sell online, in-store, on eBay, Amazon, create an e-commerce wholesale channel or b2b channel. The key advantage of Neto is to centralise your operations and improve efficiency with the only retail management platform that provides a complete solution from inventory to fulfilment. All-in-one ecommerce solution to launch a professional online store or classified ads on Sh​arePoint. OfferCommerce allows your customers to complete their orders in your site without transitioning to another company’s checkout page. The add-in is highly secured without additional setup, hosting and auditing costs to you. Product catalog supports unlimited. With OfferCommerce you will get fewer abandoned shopping carts and more completed orders. In addition, you can issue Coupon and discount codes by Country, City, Currency, date (Coupon Expiration), and many more. OfferCommerce is the first all-in-one ecommerce solution for swift and easy launch of a professional online store on SharePoint. Features include secure payment (PCI Compliant), dashboards, multi-currency, related products, shopping cart, checkout, product types (Downloads, Shippable, etc. ), product variants (Color, Size, Title, Material, Capacity, etc. ), multiple product display options, order notifications, email settings. Create your online store with PrestaShop’s free shopping cart software. Build an ecommerce website and start selling online with hundreds of powerful features. Enterprise e-commerce platform for large companies that need different languages websites across the globe. Key clients include: Adidas, GoPro who use Demandware to sell online via different languages websites. SAP Cloud for Customer (SAP C4C) is a software as a service (SaaS) platform for sales and service. The platform is composed of SAP Cloud for Sales and SAP Cloud for Service, which are marketed as separate entities by SAP. SAP Cloud for Customer runs on the SAP HANA Cloud Platform (HCP). It is available on a per user subscription basis. Shopgate offers everything online retailers need to be successful in mobile. Their leading software-as-a-service enables online stores to easily create, maintain and optimise native apps and mobile websites for the iPhone, iPad, Android smartphones and tablets. 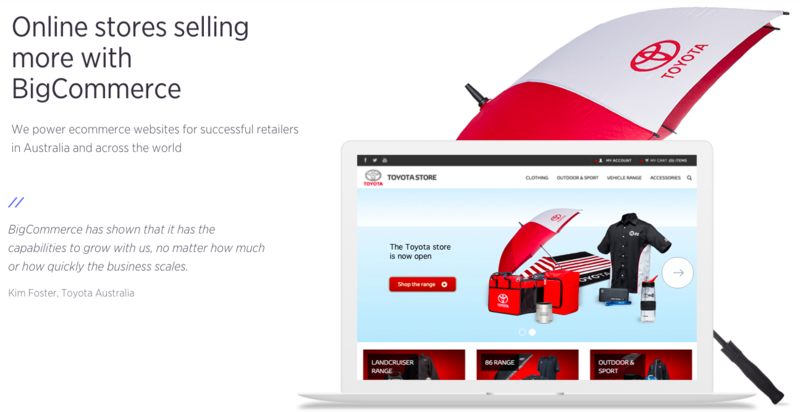 Shopwired is one of the UK’s favourite ecommerce platform for selling successfully online. With a multitude of themes, all crafted by our in-house design team, you’ll be sure to find a design for your website to work with. Mobile commerce. fully responsive themes meaning that your website and checkout are 100% mobile and tablet commerce ready. Easily customisable. Management system allows you to easily customise your theme’s style to rebrand it as your own. Change colours, fonts, sizes, logos and more. Bespoke design. in-house design team will hand-craft a design for your website, that looks exactly how you want it to look. Price: $24.95 pounds for the basic package. Sitecore is an e-commerce option for B2C, B2B, and B2X brands selling online, Sitecore Experience Commerce (XC) uses everything you know about your customers to deliver shopping experiences that are shaped by their interaction history and context, transforming prospects into lifelong fans. Owning the experience for each unique customer, from awareness to advocacy and from one purchase to the next—that’s how you develop lifetime customer relationship. Product catalogues. Deliver personalized product offerings to your customers to drive sales. Enable your marketing team to easily set up and manage all your product catalogs and departments from a central system, promoting the right product for a specific customer more easily than ever before. Multiple storefronts. Create the best purchasing experience for your customers with easy-to-set-up storefronts, shopping carts and checkout process. Improve sales in regional markets with localized storefronts in any language or currency. Reduce currency risk with automatic updates on localized pricing using real-time exchange rates from XE or ECB. Targeted offers. Grow your sales with special promotions, discounts and custom pricing targeted at specific customer and partner segments. Enable your marketing team to schedule and run promotions easily, set pricing tiers and have more control to execute successful campaigns across multiple channels, including web, mobile, email and social. New York based and Baltimore raised, this heavyweight CMS is an all-in-one platform that’s helped to build millions of websites. Squarespace position their service as your very own IT department. If you have a great idea for an ecommerce business, but aren’t very tech savvy, this platform will make your life a lot easier. There are just two account options with Squarespace: personal and business. If you want a CMS to build a small scale ecommerce company then the first one is ideal; while if you desire a more far-reaching brand, the latter will be the option for you. E-commerce Magento developers and enterprise CMS platform. Umbraco is the leading open source Microsoft ASP.NET CMS. You can start using Umbraco in 2 minutes, by taking a free trial of Umbraco Cloud. Umbraco is a fully-featured, open source Content Management System loved by thousands for its flexibility and great editing experience. Use Umbraco for free and install, setup and host it yourself or let us take care of all of that for you on Umbraco Cloud. You get a free 14 day trial and if you get hooked, prices start from just $30/month. Sell whatever you want online, no matter how many products you have. Effortlessly fulfil orders and maintain accurate stock levels, with an online inventory seamlessly integrated with your brick & mortar ecommerce store. Founded by a 16 year old website builder, Volusion has been helping people to build their ecommerce businesses since the close of the last millennium. More than 180,000 of your peers are already using this platform to run their small businesses, with truck parts, skincare products, and candy just a few of the many goods sold using Volusion’s software. You get four options for your service package: mini, plus, pro, and premium. The mini account lets you sell 100 products, while if you set up a premium account you can sell an unlimited number of products. Brazil has proved the world with Facebook (via Eduardo Saverin), a Formula One legend (Ayrton Senna), and a multi-billion dollar ecommerce platform provider in VTEX. In an industry where speed of purchase is prized as highly as Senna valued the velocity of his McLaren, VTEX provide a lightning-paced payment facility by virtue of their password free checkout. They say there are no hidden costs, but that certainly doesn’t mean that using VTEX is free. While VTEX is a great option for your business if your annual turnover is in the millions, if you don’t hit that level you might find it too expensive. Inventory tracking. Manage a handful or hundreds of products. Track your inventory to manage your supply, show customers the number of items remaining to create urgency and boost buying behavior (e.g. only 2 left! ), and automatically update shoppers when items are out of stock if they attempt to purchase from your eCommerce website. Product search. Give shoppers a faster way to find exactly what they want. Highlight the most relevant products and let your customers filter the results by attributes like price, color, etc. Filtered product search helps you maximize exposure across all of your inventory and create more buying opportunities. Sell anything. Flexible options for selling a wide range of products directly from your eCommerce website. Digital and downloadable items are automatically delivered to your customers via email with a secure one-time use link. There are extensive options for physical products, one-of-a-kind handmade items, services and donations that can be completely customized to meet your needs. Israel’s Wix is another cloud-based platform that has great popularity in the ecommerce world, with the Tel Aviv based company registering over 100 million users. While simplicity is a big selling point for Wix, integration is one of the most useful benefits. You can add Google Analytics and many other third party tools to your ecommerce store without sacrificing the usability of your website. Many of Wix’s templates are available for free. However, you do have the option to upgrade your plan and add additional features as you see fit. A further benefit is that Wix recommend accounts based on the status of your business – i.e. they have an ecommerce (for small businesses) account and a combo (personal) account. Crowned the leading global eCommerce Platform in 2017. Hosts a collection of more than 500 fully customisable responsive and mobile friendly templates. Powerful customer support: Help Center, Tutorials, Interactive Forum etc. Best suited for: Small businesses with low budget who want to an easy to build e-commerce solution. Wix allows display of only two product attributes; size and color. Customisation could be cumbersome and confusing as you will have to deal with choosing from lots of options. The world’s most popular and free eCommerce solution with more than 1.5 million stores using WordPress. WooCommerce is an open sourced and free ecommerce plugin for WordPress and is estimated to run around 30% of ecommerce businesses worldwide. It’s quick, it’s simple, it comes with unlimited product categories, and it has a secure payment gateway. If you know WordPress then you’ll be able to take advantage of all these features for a minimum of fuss. WooCommerce is a free way of creating an ecommerce store. However, while this is brilliant for new companies, it does present problems if you have ambitions of growing your business, as it begins to slow down as you increase your site visitors. Supports selling of physical and digital products. Supports multiple payment processors via free and paid add ons. Multiple ready-made themes available. Free and Paid with in-built add ons. Supports one-page checkout with user reviews and ratings. Abundant support available by add-on developers and in public forums and other communities. Best suited for: WooCommerce is best suited for small store owners with not much of long term cost involvement. Although absolutely free, many of its extensions are paid. Only works for WordPress sites. This option was created by the renowned San Francisco company, Fitbit and has become a favourite among new entrepreneurs and aspiring startup businesses. Geared towards new entrants to the ecommerce game, YoKart is designed specifically to work with multi-vendor stores, such as eBay, Etsy, and Amazon. It allows to create a store that operates in multiple currencies and which is multilingual. Though it’s geared towards startups, YoKart doesn’t give you a heads up with a free package. Prices start at $1273.97 Australian dollars, though, you can defer most of that until you’ve had the platform for 3 months. This American software has been in operation since 1997 and is the preferred ecommerce solution for brands whose business strategy operates on an Amazon fulfillment model. It’s the Amazon thing: if you’ve set up your business on an Amazon fulfillment model, the 3dcart is ideal for you. However, if you want a broader reaching ecommerce brand, this might not be the right option for you. You get a 15 day free test run with 3dcart. After which you’ll have to pay a minimum monthly subscription fee of $36.85. You are an independent artist or designer but do not really want to be managing an e-commerce site? it is ok, you can find online marketplaces where you just submit your creations and they sell them for you! Big Cartel is home to over a million clothing designers, bands, record labels, jewelry makers, crafters, and other artists. Included among the “big 5” of ecommerce platforms, Big Cartel is the third most popular platform on Google trends. Their motto is: “made by artists, for artists.” If you’re of an artistic mindset and want a creative ecommerce business, then Big Cartel could be a great way for you to get started. Price-wise, Big Cartel scores very well against its peers, as you can set up your ecommerce store for nothing. However, while it will save you money at the outset, you may find you need move to a different provider when you’re looking to scale up your business. Create your own products and sell them on cafepress. You design ’em, we’ll sell ’em. Quickly and easily start selling products in the CafePress marketplace. CafePress design tools make it a snap to add your art to hundreds of top-quality retail products. Then, just leave it to us. We’ll do the marketing so you earn money! Spreadshirt AG is a German online retail company that enables customers to design and order custom apparel such as T-shirts and sweatshirts. Customers can make, buy, and sell their designs on the Spreadshirt retail marketplace. Storenvy is home to emerging brands and authentic goods. It’s a place where you can launch a custom store at your own URL in minutes, and a social Marketplace where you’ll discover amazing things you can’t find anywhere else. Storenvy is an e-commerce platform which consists of an online store builder and social marketplace, with over 65,000 merchants and millions of products listed. TeeFury has a new Pop Culture, Geeky, or Nerdy T shirt every 24 hours for only $12. These Affordable Daily Deal T Shirts are gone before you know it. Shop Threadless designs created by independent artists on apparel, home decor, & accessories like t-shirts, v-necks, sweatshirts, tapestries, art prints, mugs, phone cases, throw pillows and more. This Swedish e-commerce software is an online marketplace whose board features figures from a host online giants, such as Spotify, Airbnb, and Tumblr. If you like to do it yourself then you’ll love Tictail, as it designed so that you can set up your ecommerce business without the need for in-depth technical, or coding skills. Free to sign-up, you use Tictail’s global marketplace option it operates on a commission basis (in much the same way that Ebay does). However, if you create a custom shop you won’t lose any of your revenue to commission. For artists and indi brands. Incorporating a natural language technology and guided navigation, Oracle ATG Web Commerce Search guides customers throughout your storefront, enabling them to quickly and efficiently find desired items. With accurate product and catalog searches, shoppers can find the merchandise they want, discover new items, and make purchases directly from the search results page. By quickly directing customers to the items they want, ATG Web Commerce Search helps you increase e-commerce revenue. ATG Web Commerce Search is pre-integrated and eliminates the labor costs of integrating and manually updating other commerce search solutions, dramatically reducing your cost of ownership. Exchange is a market place to buy and sell online shopify e-commerce stores and websites. Social Rabbit Plugin auto-promotes your WordPress e-commerce website in social networks. $19/month. Popular e-commerce framework if you want to build from scratch. Find django packages / apps for building an e-commerce site, a store, and or most other kinds of selling things on the internet. OSCAR Oscar is an open-source ecommerce framework for Django. Popular e-commerce framework if you want to build from scratch. A developer-friendly e-commerce engine. Fast open source API + Admin Hub are free to use on any project; no restriction to storefront design/mechanics; not tied-in to closed source software (e.g. Shopify, Big Commerce, etc). The PHP framework for web artisans Laravel revolutionizes how you build the web. Instant PHP Platforms On Linode, DigitalOcean, and more. Push to deploy, PHP 7.2, HHVM, queues, and everything you need to launch and deploy amazing Laravel applications. Launch your application in minutes! Supports unlimited categories, products, manufacturers, product reviews and ratings. Free themes and completely customisable and can be extended by use of paid and free extensions. Simple set up, low maintenance. Price: free to download, upgrade, and use. It offers 2 types of paid Support plans. Best suited for: Best suited for smaller businesses with some web expertise and basic website setup know-how. Not as SEO friendly as other ones. Might need a lot of paid and free add-ons added to make your store function smooth. SOLIDUS Open Source Ecommerce Done Right. Meet Solidus. An open source, ecommerce platform for high volume, complex storefronts. Built with Ruby on Rails, this mountable engine provides a scalable, stable, and highly customizable platform for online commerce. An open source storefront platform for perfectionists. Written in python, best served as a bespoke, high-performance e-commerce solution. Human clone or download. Great for developers. Better architecture means productive developers. Clear architecture. Satchless brings e-commerce and Python together. It provides the low-level classes and patterns so you can focus on your business logic and user experience. It’s free as in beer, well-tested and framework-agnostic. High performance commerce for running your complex ecommerce operations, end-to-end. Perfect for one-shop retailers to multi-location superstores. Increase online conversions with Shuup. Do not rely only on free SEO traffic. Do waste a TON of time trying to get “free” SEO traffic to their site. Here’s the truth: Unless you’re a massive site like Amazon or you put out hundreds (yes, hundreds) of articles every week, you should NOT rely on SEO. The best way to get the highest quality traffic to your site (and FAST), is with Facebook, Instagram, Linkedin ( if you are in B2B) or Adwords advertising. And what I love about Online advertising is that you can get a lot of traffic starting with a budget of just $5. Implement email marketing ASAP!. Most of your sales won’t come from first time customers. They come from REPEAT customers. And the best way to get repeat customers is with email marketing. After they purchase, you have their email address, and so you use simple emails to get them back in your stores to buy, Buy and BUY again! THINKING OF SELLING TO THE CHINESE MARKET? e-commerce is a booming industry which offers you endless potential to create your own business. Once you’ve settled on your niche area you have a wealth of options available for the platform to build your website on. The above list will help you review some e-commerce platform options and hopefully open the door to your e-commerce journey.